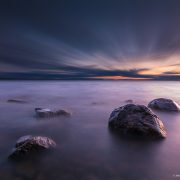 Sometimes you get lucky and can find just the thing you are looking for very close to you. 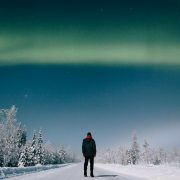 We chose Kuopio as our destination for a winter weekend mostly because it offers plenty of great winter activities within a very short distance from the heart of the city. 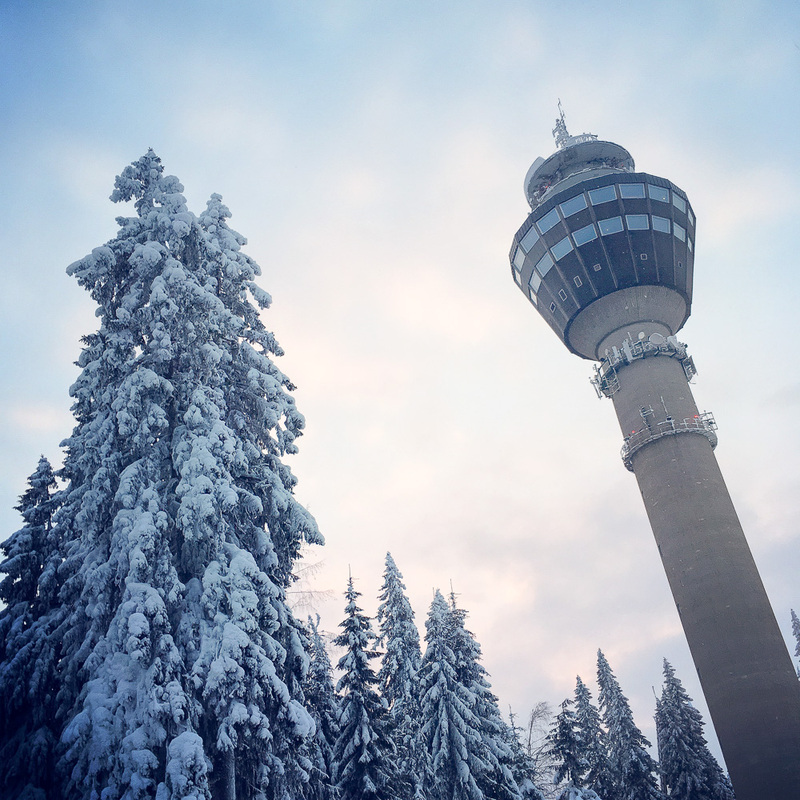 The city’s famous landmark Puijo ridge with its iconic Puijo Tower is less than 3 kilometres from the city centre. 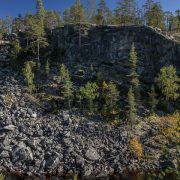 However, Puijo is also a haven for nature lovers: it is among the oldest nature conservation areas in Finland, having been established on Puijo ridge already in 1928. We had already had a great time kicksledding on Lake Kallavesi, straight from Kuopio’s passenger harbour. Next, we headed up to the Puijo hill for a bit of snowshoeing. 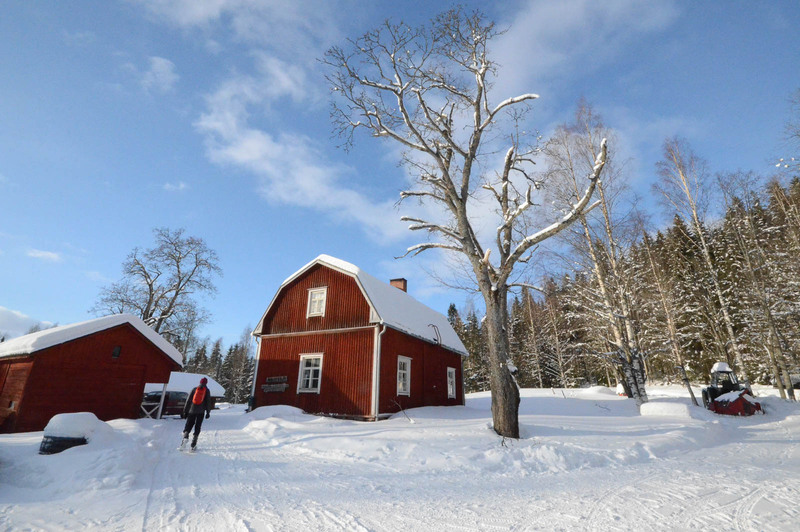 We parked our car at the car park closest to Konttila Farm and grabbed our snowshoes. 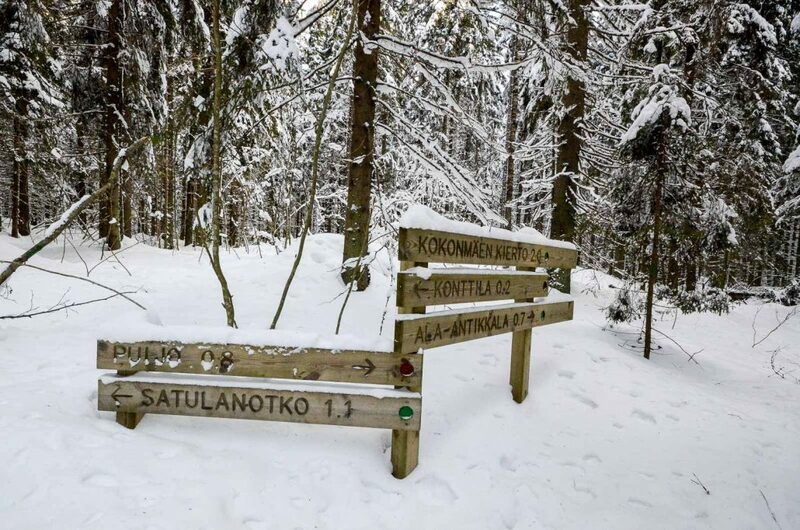 The map of Puijo paths indicated clearly marked paths and when we arrived at the signposts, we saw to our surprise that we would have been fine even without snowshoes: the paths were well trodden. 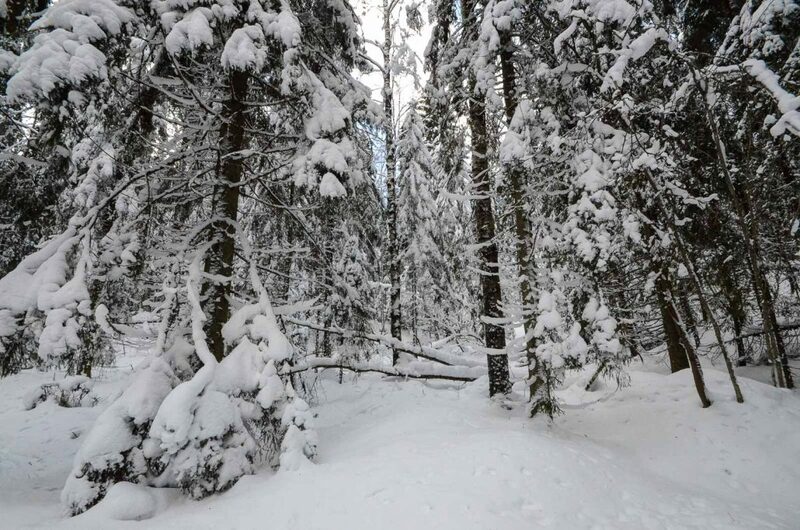 However, very soon we abandoned the marked trail and set off to find our own way in the gorgeous, snowy forest wearing our snowshoes. 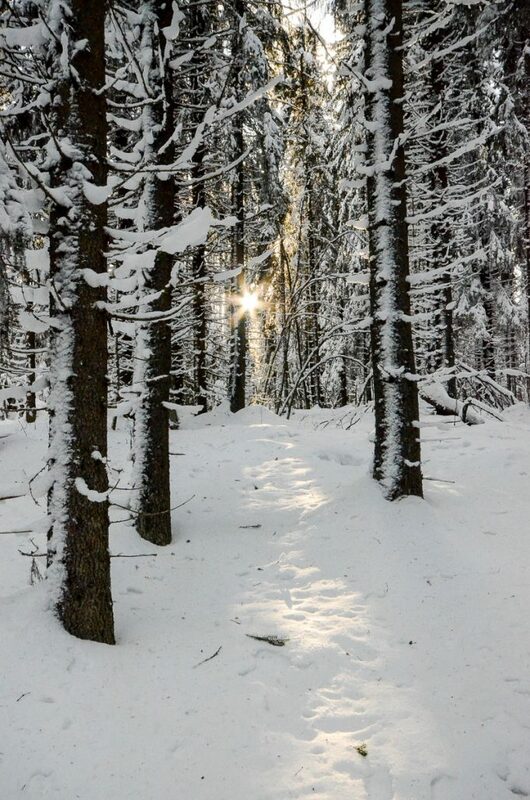 The great thing about leaving your own footprints in the snow is that you can’t get lost – you can always see where you came from and retrace your steps, if necessary. 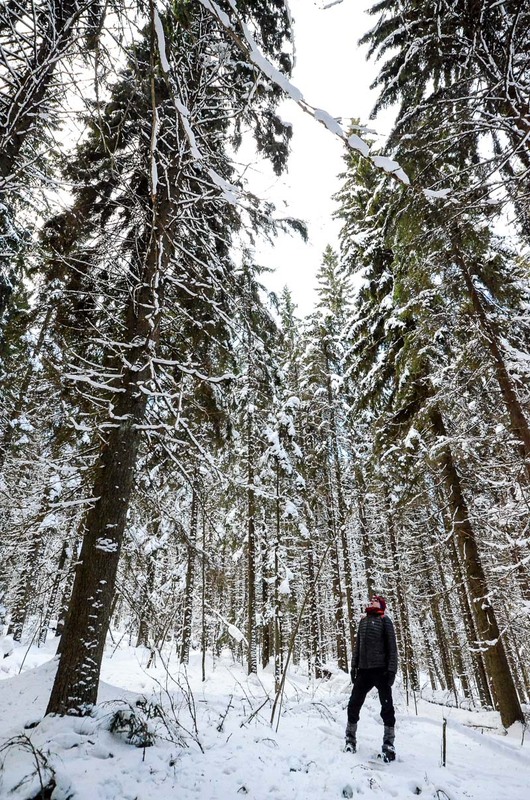 The fir trees of Puijo have enjoyed peace and quiet for decades, thanks to its status as a nature conservation area. We started heading towards Satulanotko. Every once in a while we stopped to gaze the trees above. 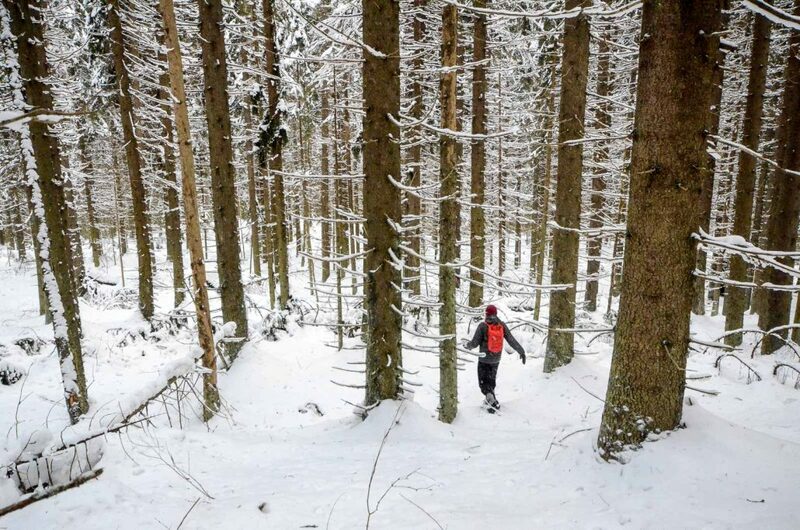 Suddenly we saw something colourful behind the tree trunks: a trail runner following the path closest to us. We preferred a slower pace. 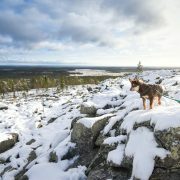 There is absolutely no logging at Puijo conservation area. However, sometimes trees happen to fall down naturally, just like this poor fir tree fellow. Suddenly we heard a strange, creaking sound pretty close to us. 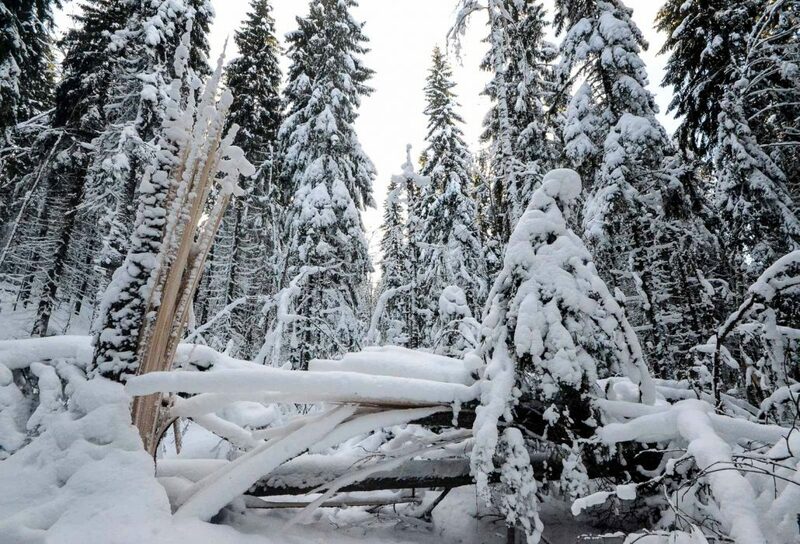 It took us a while to locate its source: a fallen tree had got stuck, leaning against another tree, and whenever the fir tree swayed even a bit in the wind, the contact made it sound like a creaking door. Other than that, it was almost totally quiet. 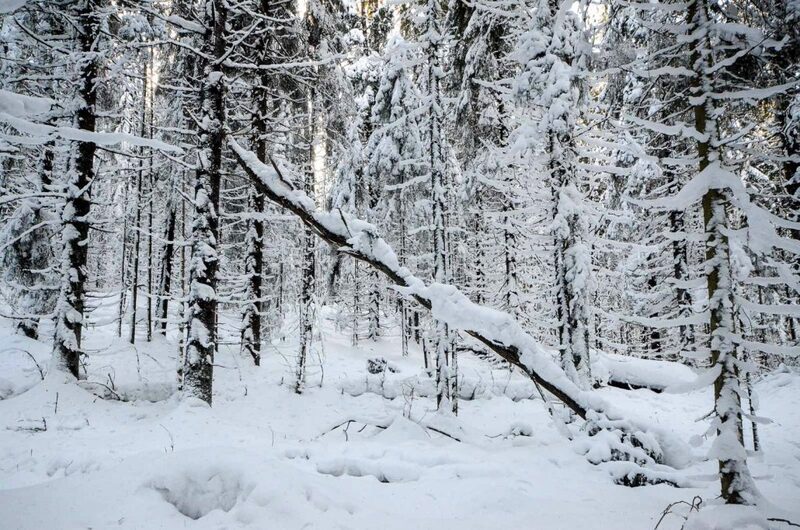 Although we were so close to Kuopio city and the distance to the closest roads isn’t great, we could hardly hear any cars through the dense forest. 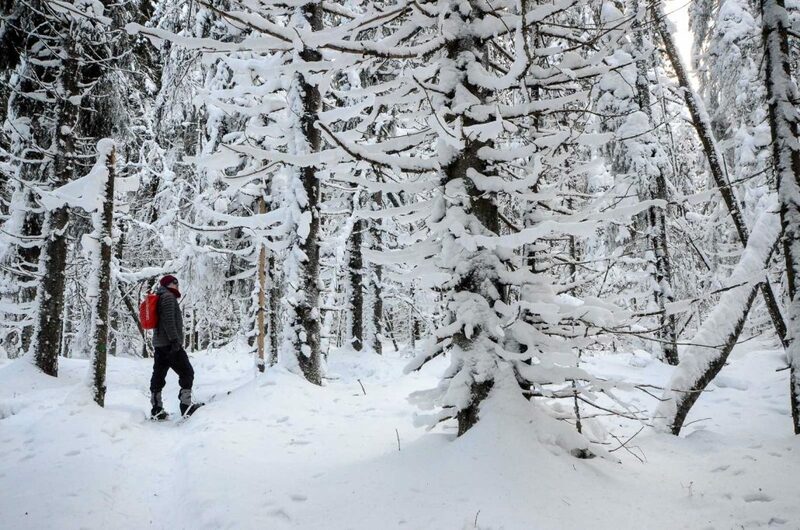 When you are snowshoeing, you don’t usually need to worry about getting cold. 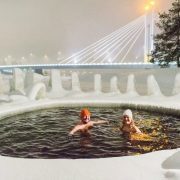 However, when the temperature is about -18 °C, you soon get a craving for a hot drink. 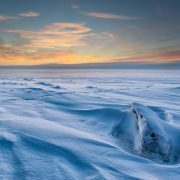 We turned our faces towards the beautiful winter sun and began walking back, towards Konttila Farm. You just can’t miss Konttila Farm – it dates back to 1770 and when you enter it, it feels like you are stepping back in time. 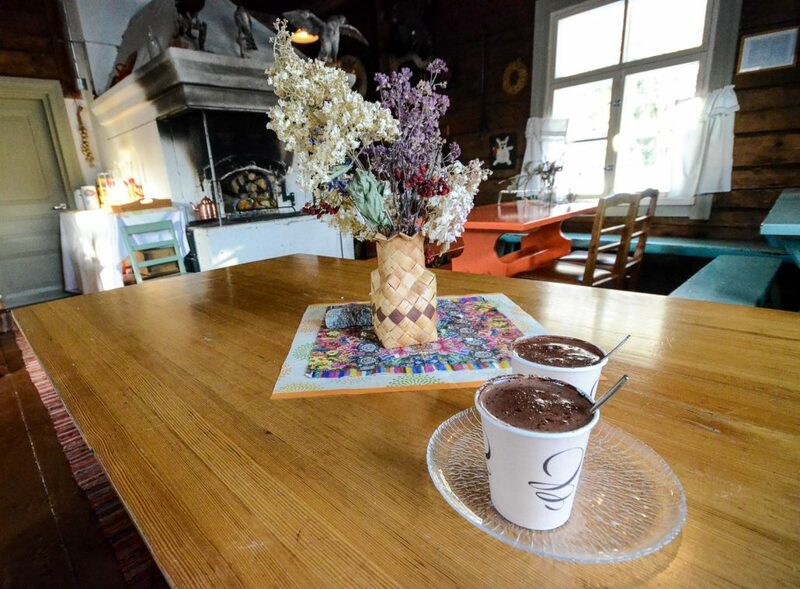 The farm is open all year round and welcomes visitors to its café and nature & guiding centre. Konttila Farm is open most days until 6 pm. We left our snowshoes outside and stepped into the main building. Hot chocolate? Yes, please! We began sipping our delicious cups of hot chocolate and just enjoyed the moment, listening to the fire start roaring in the traditional old fireplace.